If you’re a Washington business owner or manager wondering where to find skilled workers, you’re not alone. And if you’re a Washington parent or high school student, wondering how to get from school to a great job, you’re not alone either. You may also be the solution to each other’s problem. Last summer, the Career Connect Washington initiative convened groups of parents to discuss education and career preparation in Washington state. As part of a 10-year effort, we are learning how to better help students connect to both jobs and advanced education so they will be well positioned to step into the state’s job market. Business, labor and education organizations are all stepping up; we need the Legislature to act as well. As the former CEO of the Seattle Metropolitan Chamber of Commerce, I know companies large and small are concerned about where to find talent. They want to hire locally but struggle to find skilled applicants. In the next five years, Washington state expects 740,000 job openings. About 70 percent of them will require a credential beyond high school, many with both academic and practical components. About 65,000 students graduate every year from Washington public high schools into this great job market. Yet only 40 percent of our students complete a credential after high school. What’s more, even the college graduates don’t always know how degrees translate into careers. Whenever you have a shared problem, you have the opportunity for a shared solution. Career Connect Washington is a group of business, labor, education and government leaders who worked together to create a plan for a statewide system of braided pathways for all students in our state. Most broadly, career-connected learning means that instead of treating school and work as separate phases of life, young people build real-world skills while still in school, and that schooling is part of professional growth. It’s hard to know what jobs are available and how to get there. Parents can tell their children about their jobs, but they are also painfully aware of what they don’t know about professions and industries outside their own experience. Career-connected learning helps young people learn about new careers in low-risk ways. Students need more pathways. Many of the parents we talked to said students needed more “pathways” to learn about and prepare for careers. 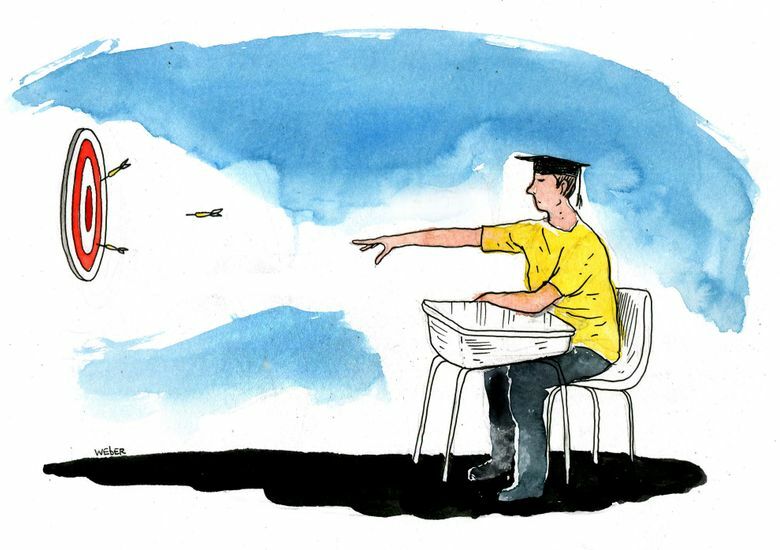 Some parents felt that the push for college readiness made it seem as if that was the only route. Parents and students identified work-based learning experiences as essential pathways for helping students decide their own way forward. Options should not be limited. Students and their parents agree that a general education is essential to expanding student horizons beyond a narrow discipline and were glad to hear that career-connected learning programs give students the chance to try out careers without being locked into a track. Career exploration should not limit participation in sports, clubs and other academic and social activities. Students and parents value well-rounded experiences and the social learning that comes in high school. Career learning needs to happen at times that allow students to continue other activities. We’re fortunate that our state already has many successful local programs. Those programs need to be expanded into a comprehensive set of high-quality programs across the state. Career Connected Washington is working to build a system that will allow all students to engage in three main levels: career exploration, career preparation and career launch. The Legislature is debating the budget right now. An investment in a career-connected learning system will give each student multiple pathways to career and college. The good news is that all three proposed budgets — by the governor, Senate and House of Representatives — include funding for these critical programs, but at vastly different levels. We know that the Legislature faces difficult budget choices, but our students and families are ready for these options now. With the support of our Legislature, funding will be available to provide opportunities for all students in every part of our state. Maud Daudon is leading the state’s effort to create a 10-year vision and strategic plan for building a statewide career-connected learning and apprenticeship system on behalf of Gov. Jay Inslee. Previously, she led the Seattle Metropolitan Chamber of Commerce and is currently serving as chair of the Washington Student Achievement Council.